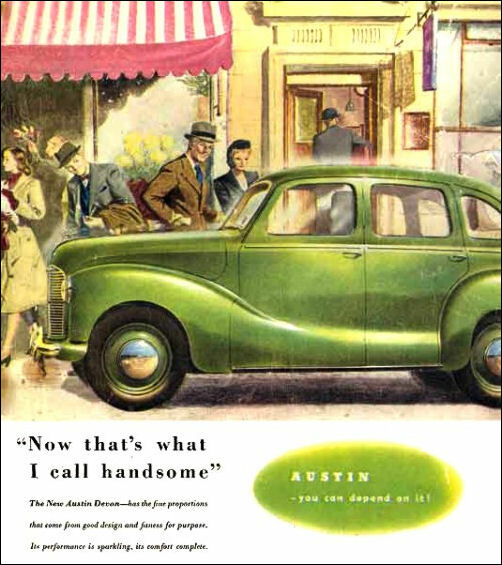 Austin A40 two-door Dorset, Model G2S2, and four-door Devon, Model GS2, Saloons superseded the earlier Eight, Ten and Twelve in October 1947, at £403 and £416 respectively. 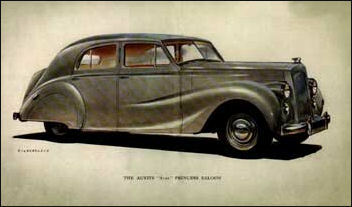 The Dorset was phased out during 1948. They have a 1200-cc (65.48 x 89 mm) 40-bhp (10.7 HP) OHV Four engine with four-speed gearbox, IFS with coil springs and Girling hydro-mechanical brakes. Wheelbase is 7 ft 8½ in and tyre size 5.00-16. 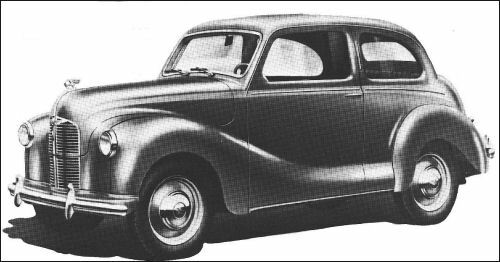 In March 1948, a 10-cwt Van (GV2) derivative was added, followed by Countryman (GP2) and Pick-up (GOU2) modifications thereof in September. 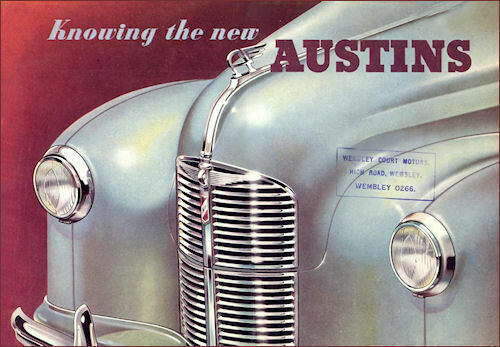 Austin A135 Princess, Model DS2, is mechanically similar to the A125 Sheerline, Model DS1, except for triple SU carburettors (v. single Stromberg) and higher final drive ratio. 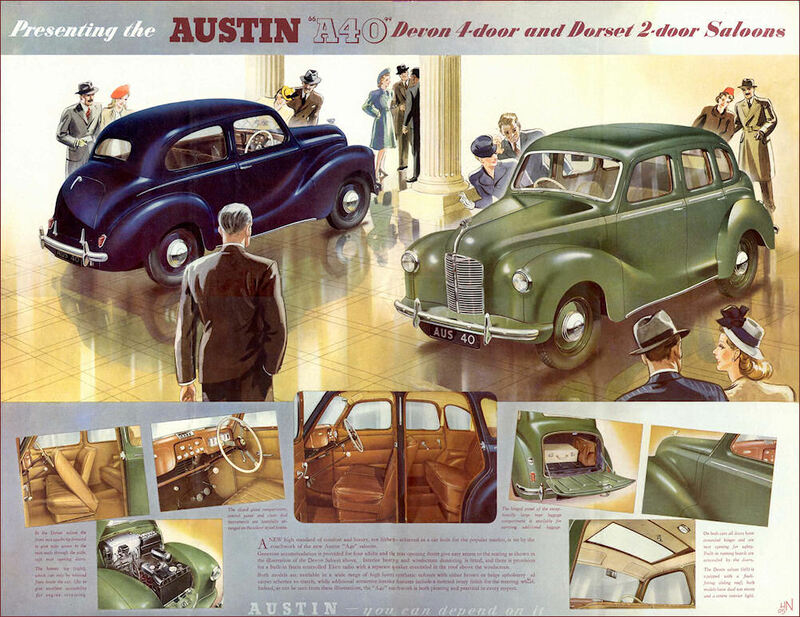 The main difference is that the £1277 Sheerline is entirely Austin-built, whereas the £2103 Princess had coachwork by Vanden Plas. Both have a 4-litre OHV Six engine and coil-spring IFS. 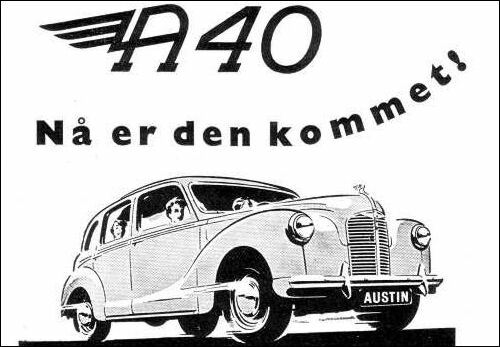 The A125 and A135 are successors to a long line of pre-war Austin Twenties. 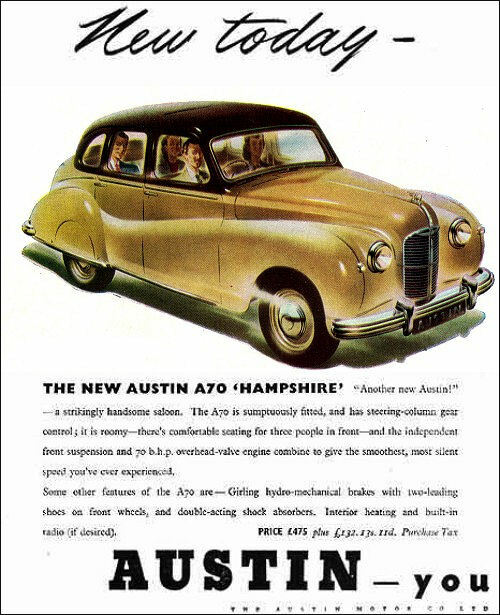 A70 Hampshire introduced in mid 1948 as the logical successor to the 12 and 16 and basically a larger more powerful version of the Devon. Only 4" longer and most of the extra length taken up by the engine, giving a rather cramped interior. Engine is the 67 bhp 2199cc unit from the 16HP (1946 model) giving a top speed of 83 mph. Coil spring ifs and cart sprung rear, four speed column shift. 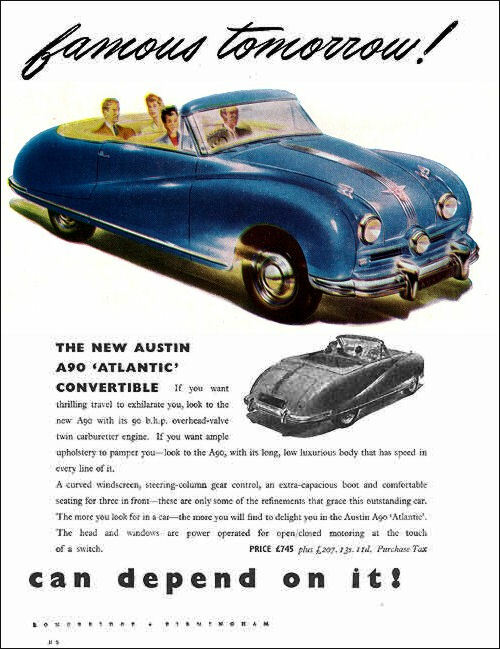 A90 Atlantic mechanically based on the A70 but with bored out engine of 2660cc and 88 bhp, giving a top speed of 96 mph. 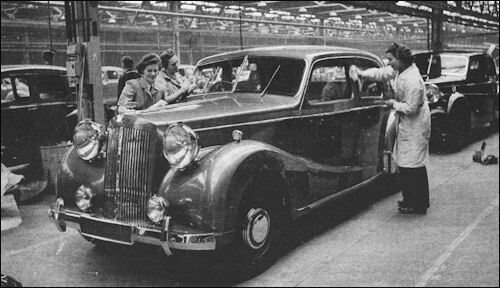 The FX was developed by co-operation between Austin, the coachbuilders Carbodies of Coventry and London taxi dealers Mann and Overton as a replacement for the obsolete 12/4, this experimental prototype dates from 1945. 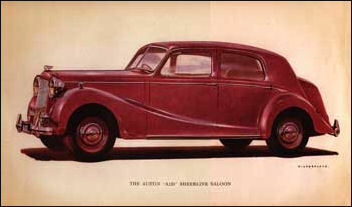 The FX used a 1800cc sidevalve engine, and was fitted with a pre-war body for testing purposes. 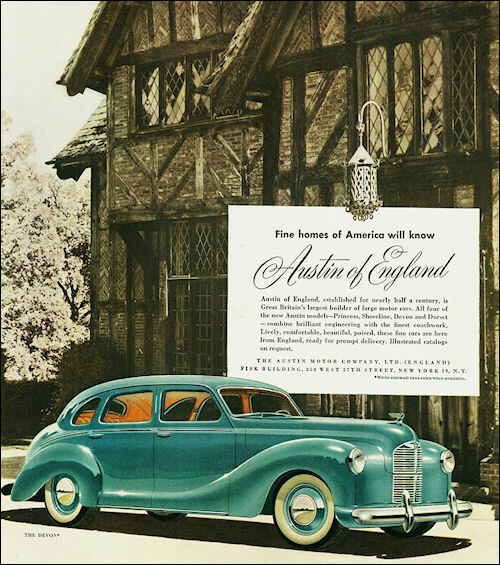 The FX was underpowered, and was replaced by the FX2, which had an all-new chassis, a new 1.8 litre 14hp ohv petrol engine and a prototype coachbuilt body to exactly the same design as would be fitted to the FX3. The FX3 is offered with a 2.2litre ohv petrol engine and an all-steel body from Carbodies. The first prototype FX3, JXN 841 went on test alongside the FX2, JXN 842. FL1- The hire car version of the FX3 have a front bench seat, forward facing tip up seats in the rear and with higher speed crown-wheel assembly. Four doors and no For Hire sign distinguish it.